Finally, two new films to shout about. In her revealing profile of Kenneth Lonergan in the New Yorker here, Rebecca Mead charts the travails that Lonergan went through with his second feature Margaret. Not withstanding her entirely sympathetic portrait, one of the fascinating insights to emerge is that, at least to some degree, those wounds were partially self-inflicted. 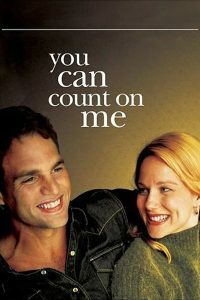 Certainly his debut You Can Count On Me was one of the most impressive films to come out of America in the last couple of decades. And not withstanding the wrangling over its length, his follow up Margaret, reviewed earlier here, was if anything an improvement on that debut. But when it came to delivering that contentious final cut of Margaret, he seems to have burrowed himself ever deeper into a hole largely if tragically of his own making. The brilliant You Can Count on Me. There’s evidently a stubbornness and a prickly recalcitrance to his character that’s quietly at war with his fiery intelligence and the profound sense of empathy that he has for other people and, therefore, with the characters that he ends up creating on the page. 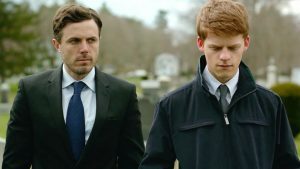 It’s in this sense that his third film, Manchester by the Sea is so clearly an autobiographical one. 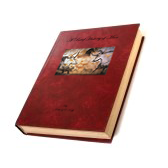 It’s not so much the story that he tells that is so manifestly his, rather it is the mood created that so perfectly captures that inner tension. Casey Affleck plays Lee, who has bottled up whatever it was that happened to him in his past so tightly he’s become immune to life itself. When a tragic event sends him back home to the Manchester of the title, he has no choice other than to face up to his past. What Lonergan does so brilliantly is to stay with his characters as they go about the mundane, day to day chores that have to be gone through whenever any of us have to deal with a tragic event. What makes this all the more excruciating is that of all the people who have to deal with those kind of things, Lee is the least capable, and the most in need of help. Which is the one thing he’s incapable of asking for. Casey Affleck, who’s a revelation, and the excellent Lucas Hedges in Manchester by the Sea. It would be misleading to pretend that, at times, this were not a profoundly depressing film. But its brilliance lies precisely in its refusal to turn what seems like an impossible situation around and to tie up all the various narrative strands. In life as we live it, some things are impossible to move beyond. And those stories don’t end, they rumble on for the rest of our lives. Loving is the sixth feature from Jeff Nichols and after the atmospheric Take Shelter (2011) and Mud (2012), he made the disappointingly conventional Midnight Special. The latter seemed to strain for the sort of Spielbergian grandeur that Hollywood and its accountants are so in awe of. This film, happily, would appear to a conscious effort to produce an antidote to that sort of emotional incontinence. As a based-on-a-true-story tale of a white man’s insistence on marrying the black girl of his dreams in the 1950s, in the southern state of Virginia, it’s the sort of story that could have been ruined had it been saddled with the traditional Hollywood treatment. In contrast, Nichols is consciously restrained throughout, and he refuses to punctuate every emotional expression with a musical outburst, quietly letting the facts speak for themselves. And, as with Manchester by the Sea, he too takes his cue from classical Greek drama, so that most of the pivotal action happens off stage, including even the climatic court scene when the laws prohibiting interracial marriage are finally overturned. Ruth Negga, who gives a powerful performance in Loving. Instead of which, he focuses on the reactions of the protagonists to the events that have unfolded off screen. 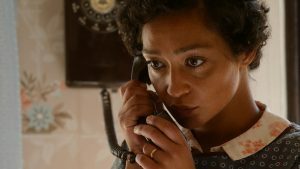 And there can be few scenes more moving than when Ruth Negga gets the phone call informing her that, somewhere in the vast bureaucracy of the United States government, someone was finally responding to her many letters pleading desperately for help. Some have complained that this distanced view renders the film cool or even cold. But as Manohla Dargis writes in her excellent New York Times review here, it’s precisely this quiet distance that gives the film its emotional punch. You can see the trailer to Loving here, and the trailer to Manchester by the Sea here.